U.S. Immigration and Customs Enforcement has released information about average bonds for noncitizens detained at ICE field offices. Los Angeles sets the lowest average bonds, while New York’s average is the highest. What the table doesn’t show is the odds of being detained in each office’s district. For example, according to anecdotal evidence, Los Angeles has a rate of detention. Five former U.S. ambassadors to China appeared together in a program for the first time on December 9, 2008. The program featured ambassadors Winston Lord (1985-89), James Lilley (1989-91), J. Stapleton Roy (1991-95), James R. Sasser (1996-99), and Joseph Prueher (1999-2001). In an exchange moderated by National Committee president Stephen Orlins, the ambassadors candidly reflected on the challenges, excitement, crises and achievements of their tenures, and shared insights on the future of U.S.-China relations. Winston Lord: ï»¿As special assistant to the National Security Advisor, Winston Lord accompanied Henry Kissinger on his secret visit to China in 1971 and President Nixon on his historic opening in 1972, as well as subsequent trips by President Ford and Dr. Kissinger. From 1985 to 1989 he served as ambassador to Beijing under Presidents Reagan and Bush. From 1993-1997 he was Assistant Secretary of State in charge of all East Asian policy, including China, under President Clinton. Lordâ€™s other key government assignments were in the State Department as the director of PolicyÂ Planning (1973-1977) and in the Defense and State Departments in the 1960â€™s. He currently serves as Chairman Emeritus of the International Rescue Committee, the largest non-sectarian organization that both helps refugees abroad and resettles them in the United States. ï»¿James Lilley: Lilley was born in Qingdao, China in 1928, where his father was working for Standard Oil. He remained in China until 1940. Lilley was in the CIA until 1975, serving in Japan, Taiwan, Hong Kong, Laos, Cambodia, Philippines, Thailand and Beijing and as the national intelligence officer for China (1975-78). He then changed careers to work for Hunt Oil (1978-80) and United Technologies (1979-80). He served on the National Security Councilâ€™s East Asia staff (1981-82) before becoming the director of the American Institute in Taiwan (1982-84). He worked for Otis Elevator (1984-85) and then became the deputy assistant secretary of state for East Asia (1985-86).He was the U. S. ambassador to Korea (1986-89) and to China (1989-91), and assistant secretary of defense for international security affairs (1991-93). From 1993 to 2006, he worked at the American Enterprise Institute, where he edited six books on the Chinese military. In 2004 he wrote China Hands, a reflection on his life and career. J. Stapleton Roy: Roy retired from the Foreign Service in January 2001 after a career spanning 45 years wth the U.S. Department of State. A fluent Chinese speaker, Ambassador Roy spent much of his career in East Asia, where his assignments included Bangkok (twice), Hong Kong, Taipei, Beijing (twice), Singapore, and Jakarta. He also specialized in Soviet affairs and served in Moscow at the height of the Cold War. Mr. Roy rose to become a three-time ambassador, serving as the top U.S. envoy in Singapore (1984-86), the Peopleâ€™s Republic of China (1991-95), and Indonesia (1996-99). In 1996, he was promoted to the rank of Career Ambassador, the highest rank in the Foreign Service. Ambassador Royâ€™s final post with the State Department was as assistant secretary for Intelligence and Research. In September 2008, he joined the Woodrow Wilson International Center for Scholars as director of the Kissinger Institute on China and the United States. He continues in his position as senior adviser to Kissinger Associates, Inc., which he joined in January 2001. Ambassador Roy was born in Nanjing, China of American missionary parents. ï»¿James R. Sasser: Sasser practiced law in Nashville until elected to the United States Senate in 1976, where he served for 18 years. Upon leaving the Senate he became a fellow at the Kennedy School at Harvard University, which ended with his appointment as ambassador to the Peopleâ€™s Republic of China in 1996. He served in that capacity for almost four years, playing a pivotal role in stabilizing Sino-American relations and traveling with President Jiang Zemin on his historic State visit to the United States in 1997. Sasser is currently a senior advisor to the FedEx Corporation and a senior counselor to APCO Worldwide in Washington, DC. He has served as a consultant to other U.S. corporation doing business in China, including the Ford Motor Company, the former Unocal Corporation and Brown-Forman Corporation. ï»¿Joseph Prueher: Prueher is a consulting professor at Stanford Universityâ€™s Institute of International Studies and senior advisor on The Preventive Defense Project. He served as ambassador to the Peopleâ€™s Republic of China from 1999 to 2001 after completing thirty-five years in the United States navy. His last command was Commander-in-Chief of the U.S. Pacific Command. Prior to that, he served as commandant at the U.S. Naval Academy at Annapolis. Who Are the U.S. Visa Officers? Of the 12,000 to 15,000 people who register annually for the written exam, about 450 officers are hired, said Frank J. Coulter, management officer with the Foreign Service and a member of the State Department’s board of examiners…. Each of the first two postings overseas last two years; after that, it is generally a three-year posting in each country. One-year hardship postings–in a region too dangerous to allow an officer’s spouse and children to accompany him or her–are required at least twice in the course of a career. After two assignments, Foreign Service personnel can bid on postings requesting particular countries or Washington but everyone is expected to serve in a variety of assignments. In academic year 2007/08, there were 81,127 students from China studying in the United States, up 19.8% from the previous year. That makes China the second-leading place of origin for students coming to the United States, following India (94,563). These figures were released in a study called Open Doors: Report on International Educational Exchange, published annually by the Institute of International Education with support from the U.S. Department of State. In my opinion, the record numbers are in part attributable to aggressive recruiting by U.S. schools in China as well as China’s booming economy. Also, the numbers mark a rebound in Chinese students confidence in the U.S. visa system. AfterÂ 9/11, Chinese students were disappointed by a high rate of visa denials and long security checks that delayed visa issuance by months for some. According to the report, the majority of Chinese students study at the graduate level: 20.3% undergraduate, 65.4% graduate students, 4.8% other, 9.5% optional practical training. China sent no students to the U.S. from the 1950s until 1974/75. In the 1980s, numbers of Chinese students grew dramatically, and in 1988/89, China displaced Taiwan as the leading sender. China was the leading place of origin from 1988/89 until it was displaced by Japan in 1994/95. In 1998/99, China overtook Japan as the leading sender, and remained in the number one position until being overtaken by India in 2001/02, and has remained in second place since. Following Barack Obamaâ€™s landslide win in the presidential election, headlines in many newspapers read like this one from the New York Times:Â Election Unleashes a Flood of Hope Worldwide. It strikes me that part of the optimism is due to Obamaâ€™s compelling personal story as the son of an African immigrant as well as his own experiences living abroad. His father, Barack Obama, Sr., traveled from Kenya on scholarship to study economics at the University of Hawaii. There, he met and married Ann Dunham, who gave birth to Barack Obama, Jr., in 1961. Also, Obama spent several years (1967-71) in Indonesia with his mother and Indonesian stepfather. This was a time of Cold War chaos in Indonesia. Newsweek editor John Meacham believes Obama’s experience of “what American power feels like on the receiving end as opposed to the giving end” may help him think two steps ahead about the impact of U.S. actions abroad. Obama wrote about his personal storyÂ in his books, Dreams of My Father and Audacity of Hope. He campaigned on his personal story. The next several years will show whether the current wave of global optimism is justified. In July, I blogged about a Pew Research Center survey showing that Australia is the most popular destination for Chinese seeking to emigrate. Canada was ranked #2 and the U.S. #3. I theorized that the limited interest in emigrating to the U.S. is due to America’s current economic woes and plummeting international popularity because of the Iraq War. The U.S. has a 21% share of the global economy, compared with 23% in 1990 and 22% in 1980. Although the U.S. is suffering economically, the world’s other major economies are too, and U.S. may be the first to come out of rescession. While America’s image is certainly damaged, the scale of damage doesn’t compare to the 1960s and 1970s, with the Vietnam War, the Watts riots, the My Lai massacre, Watergate, and the assassinations of John F. Kennedy, Martin Luther King, and Bobby Kennedy. Even in the Middle East, there’s been no fundamental strategic realignment against the U.S. due to the Iraq War. Longtime allies remain allies. And, I would add, America’s next president may be able to undo much of Bush’s damage to America’s image abroad. So, long live the American dream. (Hat tip to China Law Blog for pointing to the OpEd). 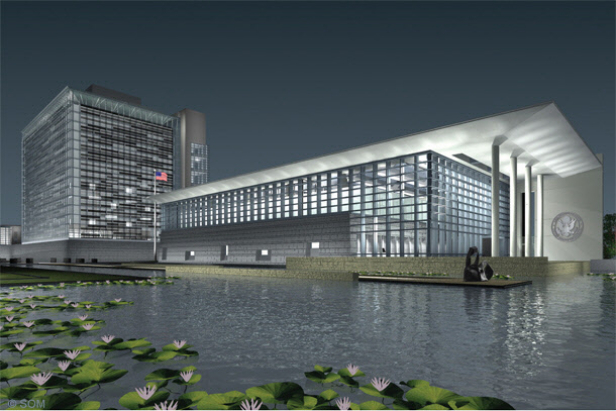 It looks like the new U.S. Embassy in Beijing will open for consular services on Tuesday, October 28, 2008. The Embassy’s notice is here. The new location is No. 55 An Jia Lou Road.Â The entrance for consular services, including American citizen services and the visa section, is located at the Embassy’s east gate at the intersection of Tian Ze Road and An Jia Lou Road, close to Ladiesâ€™ Street (NÃ¼ren Jie) and Laitai Flower Market.Â The nearest subway location is the Liangmaqiao stop on line #10. The U.S. State Department has announced it is searching for Philip Ming Wong, a fugitive who has been indicted for his role in a visa fraud scheme. United States Attorney Joseph P. Russoniello and Diplomatic Security Service (DSS) Special Agent In-Charge, Patrick Durkin announced that PHILIP MING WONG has been indicted for his role in a non-immigrant visa fraud scheme. According to an indictment filed on September 9, 2008, PHILLIP MING WONG and his coconspirators are alleged to have operated three Bay Area companies, which existed mostly on paper and conducted no legitimate business from 1999 through 2001. PHILLIP MING WONG and his coconspirators are further alleged to have sold invitation letters from these three false or shell companies to 119 ordinary citizens of China for fees ranging up to $16,000 a piece. Lastly, it is alleged that these citizens then applied for non-immigrant visas at the American Embassy in China, using the false invitation letters and masquerading as Chinese business people doing commerce with the three false companies. In many of the 119 cases, the United States Embassy in China accepted the invitation letters sold by PHILLIP MING WONG and his co-conspirators, and issued non-immigrant visas to the Chinese citizens posing as business travelers. PHILLIP MING WONG was indicted on one count of Conspiracy, in violation of 18 U.S.C. Â§ 371, eight counts of Visa Fraud, in violation of 18 U.S.C. Â§ 1546, six counts of Harboring Aliens for Financial Gain, in violation of 18 U.S.C. 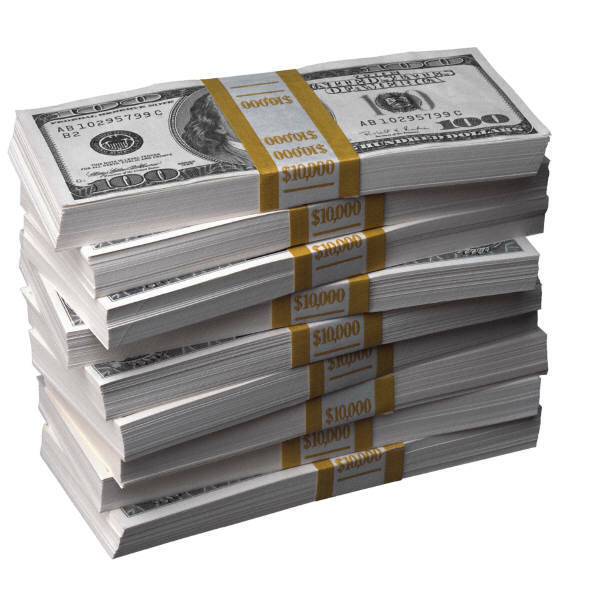 Â§ 1324, and one count of Money Laundering, in violation of 18 U.S.C. Â§ 1956. The maximum statutory penalty for these violations is five years imprisonment per count. “Operation Shell Games” is yet another example of the Diplomatic Security Service’s vigilance in combating visa and passport fraud. We investigate multi-defendant criminal enterprises that broker in false visas, false immigration forms, and other false documents, to keep imposters and criminals out of the country,” Special Agent In-Charge Patrick Durkin of the Diplomatic Security Service, San Francisco Field Office stated. PHILLIP MING WONG is considered a fugitive and is believed to be residing in Macao, the People’s Republic of China. Anyone with information about PHILLIP MING WONG’s whereabouts or any other false or fraudulent visa scheme is encouraged to contact DSS at (415) 705-1176. Please note, an indictment contains only allegations against an individual and, as with all defendants, the defendants must be presumed innocent unless and until proven guilty. Hat tip to the Experience Not Logic blog. If you had just one chance to gaze into a crystal ball, you probably wouldn’t use the opportunity to learn about the future of U.S. visa processing in China. So you’ll have to settle with glimmers of the future from a recently published U.S. Government Accountability Office (GAO) report, Border Security: State Department Is Taking Steps to Meet Projected Surge in Demand for Visas and Passports in Mexico (July 2008). As background, U.S. consular facilities in China are facing pressure to adjudicate a rapidly-increasing number of visa applications without expending significant additional resources. On top of that, believing that wait times for nonimmigrant visa (NIV) interviews were excessive, in February 2007, the State Department announced a worldwide goal of interviewing NIV applicants within 30 days. Adding temporary interview windows: Consular officers in Mexico are expected to conduct 20 NIV interviews per hour. Assuming windows are open 200 days a year, 20 interviews per hour for 8 hours wouild result in 32,000 interviews per window, per year. To meet surging visa demand, consular posts are constructing additional temporary windows. Hiring temporary adjudicating officers with renewable 1-year contracts: These officers will receive the same 6-week Basic Consular Course at the Foreign Service Institute in Arlington, Virginia, as permanent Foreign Service officers. Officials anticipate the same level of productivity and supervision requirements as they would expect from new career Foreign Service officers. Any guesses as to which of these strategies will be implemented in China? Got a tip? Some aspects of U.S and China visa policy and practice are local and/or not made public by government agencies. If you have a tip, share it here.